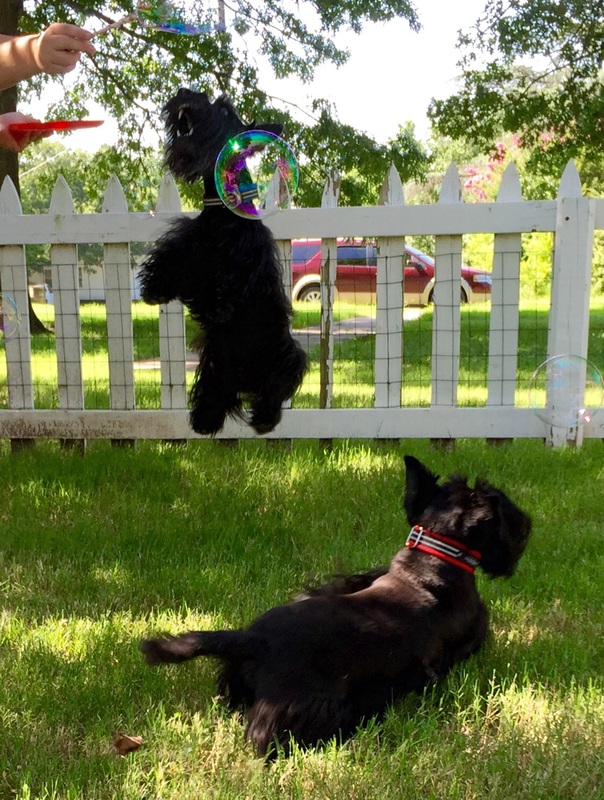 The summer afternoons are so hot that we use the mornings for our playtime. Our friend, Bethany was Chief Bubble Dispenser with Mom at the camera as always. Brother jumps for a bubble. Brother begs for a bubble. 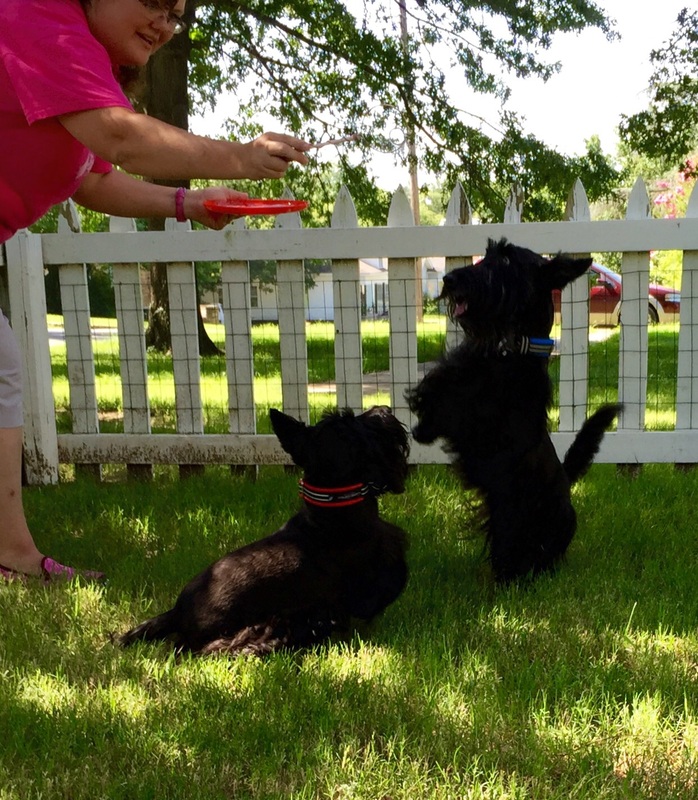 Looks like a fun game–everyone is Indy and Lucy’s friend and playmate! Do you think Mac would like some Bubbles? Those are so big and colorful bubbles. Get it Indy! Don’t think it tasted too good though did it Lucy? Mama sez she is going to the Dollar Store! I used to do bubbles with Tiffany, Lexie, and Tory. They loved it. I should try with the present residents of the looney bin. You should. We both liked them. They are having so much fun & it’s wonderful to see !! 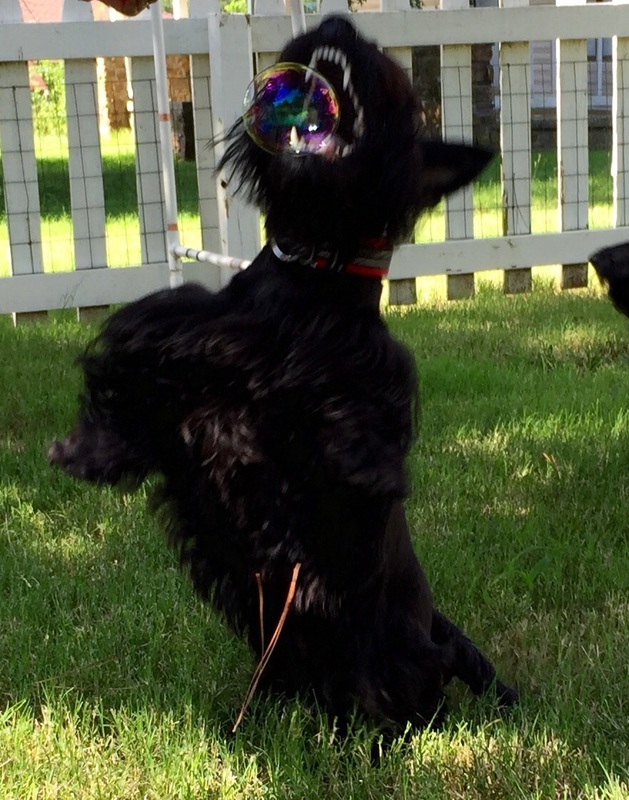 Great shot of Lucy catching the bubble !! Oh boy, oh boy! Bubbles! How very fun! We loves it! You R a GRrrreat mom! Looks like a blast! Have lots of fun you 2 cuties! Such great photos! Niko, our late shepherd, LOVED bubbles. He would chase them until he frothed at the mouth. Jacques… Well, I don’t want to say he’s scared of them, but he’s scared of them. Strange!